Welcome to the Fit Pregnancy section of my website. Below you will find links to workouts and information that I shared during my pregnancy. Remember, before starting any workout program check with your doctor. Every pregnancy is different and your doctor knows what is best for your specific circumstances. I was able to workout for the full 9-months, including a 5-mile walk the day that I went into labor. 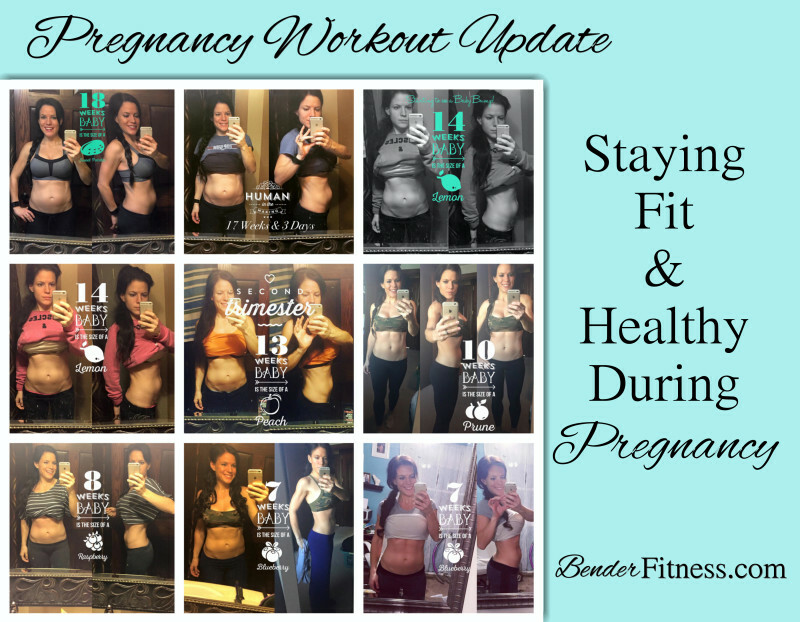 Below you will find links to a variety of workouts, fit pregnancy tips, and workouts that I used during my pregnancy. 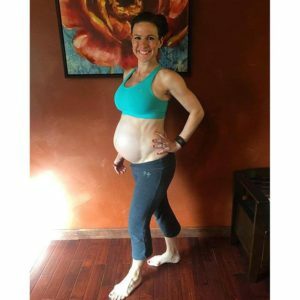 I also have a great 6-Week Postpartum Workout series, and a specialized workout for Diastasis Recti when you are cleared for exercise postpartum. Above all, listen to your body. Listen to your doctor & remember, exercise during pregnancy should benefit both mother and child. Do not be afraid to modify your workouts to suit your needs. If you ever feel discomfort, or like a workout is too hard that is a sign to stop or slow down. Don’t ignore your instincts. Enjoy the workouts, and be sure to check out: Working Out in the First Trimester: What You Need to Know before getting started. Congratulations on your little bundle of joy! I hope you find these workouts and tips useful. Stay safe and stay healthy. PS I was featured in Cosmopolitan’s Article: 10 Pregnant Women with Six-Pack Abs. I was #7 at 40-Weeks Pregnant! Note: I taught a Boot Camp HIIT and weekly Yoga class with no issues throughout my pregnancy. I modified the workouts based on my Rate of Perceived Exertion. I also incorporated walking and running. 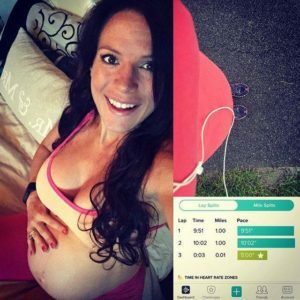 My Pregnancy Update posts include walking/running. Working Out in the Second Trimester: 19-Week Fitness Update: Workouts from Week 16-19.